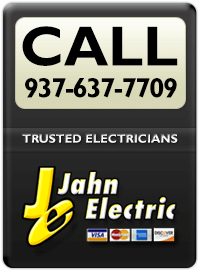 For expert electrical solutions and great same day service in Southwest Ohio and surrounding areas, you can rely on the team of electrical professionals at Jahn Electric. 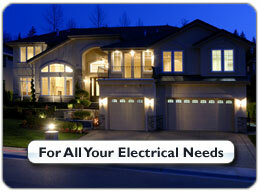 Our experienced electrical technicians are available on call 24/7, to take care of all your electrical needs. Our team of skilled electricians are experienced in all facets of electrical work to ensure complete safety and peace of mind for your electrical solutions. 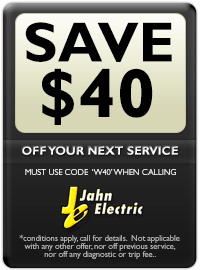 From new sockets, to panel upgrades, to appliance hook ups to lighting solutions or back up generators. 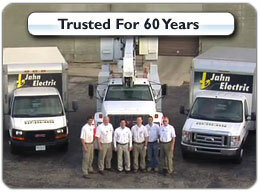 At Jahn Electric, we're the electrical experts you can depend upon for all your quality electrical solutions. 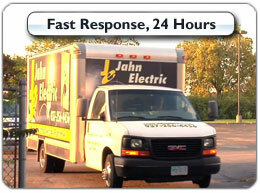 When you choose Jahn Electric you'll enjoy a level of customer service you'll be delighted with – satisfaction guaranteed. 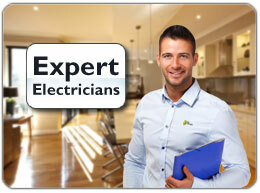 Our friendly team also take the time to answer any electrical questions or concerns you may have and offer expert advice. All our electrical services are calculated for the complete job, enabling us to provide you with a full quotation before work begins. For something as vital as your electrics, depend on a company that is completely licensed and insured as well as all technicians being IEC certified for your quality and safety assurance. Our technicians drive mobile warehouse trucks so no matter what your electrical job, we'll have the parts and equipment to take care of it straight away. 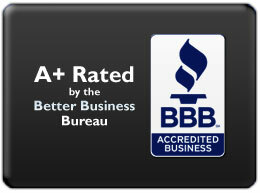 You can be confident of the best for your electrical needs, as we back our quality workmanship with a written warranty. Enjoy professionals who will take care when working in your home or business by keeping all work areas tidy, will wear boot covers and and always clean up before leaving. 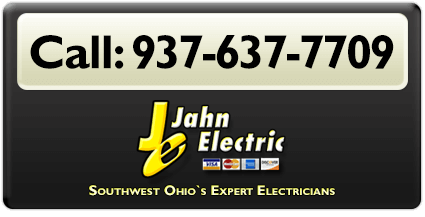 For the best electricians and electrical solutions for your home or business in Southwest Ohio, and surrounding areas, call and speak with the on time professionals at Jahn Electric today.